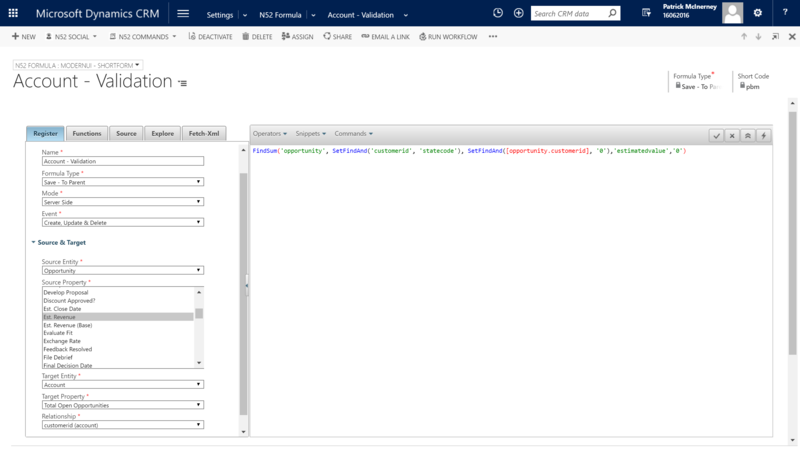 In this business scenario you have a requirement to set & continually update a custom field on the Account entity called 'Total Open Opportunities'. This field is the sum of the estimated revenue field from all the opportunity records associated to the Account. A key part of this requirement is that roll-up must run in real-time. Note: This scenario is also outlined in other articles using Decision Tables and the FindSum and FindSumFD (Fetch-Xml) methods. 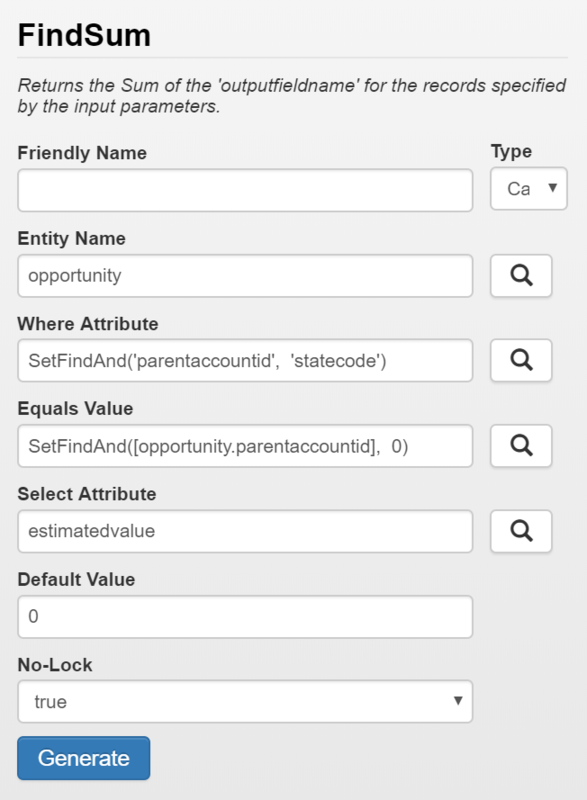 Set the Target Property field to 'Total open Opps'. Please see below the wizard you can use to create the FindSum() function call used in this formula.